If there's anything that years of blogging has taught me, it's that I am completely incapable of juggling fun hobby deadlines (i.e. 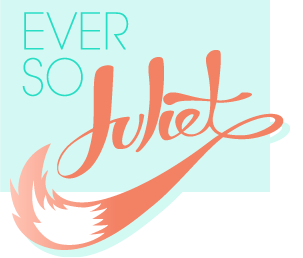 weekly blogs) with actual serious work deadlines. I had felt like I had done a pretty good job of resurrecting this blog, but then film fest life took over, I had loads of deadlines, then we had to deliver the actual thing, then I went on holiday, crashed, holidayed again, and here I am! I reckon I just need to get comfortable with the fact that this is how I handle my work-life balance. I'm always going to be a sporadic blogger when real-life amps up, and I think that's okay. So rather than make a big fuss about returning to blogging (again), I thought I'd catch you up on my summer! We ran a film festival! 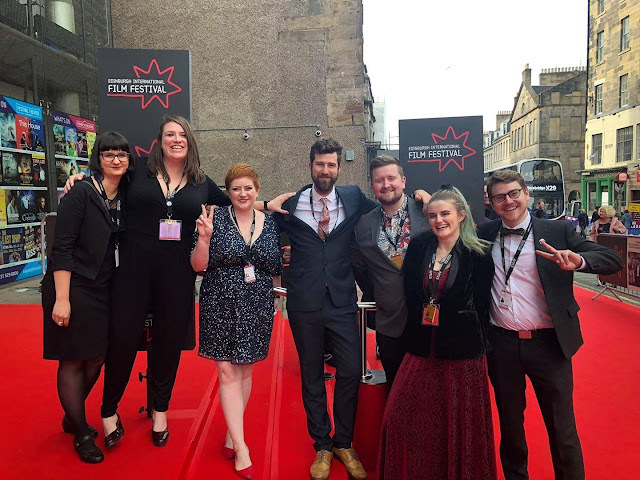 It was my third Edinburgh International Film Festival, which took place in June this year, with over 500 screenings, absolutely loads of filmmakers in town, 20 venues across Edinburgh, and 1 slightly disruptive heatwave. I'm the Festival's Head of Development, which means my team & I bring in and look after all of our funders, sponsors, partners, donors, and anyone else kind enough to want to donate to us, or cool enough to want to be part of the action (and why wouldn't you? Support your local festival!). The most common question you get working in festivals is 'so what do you do the rest of the year? ', as if the whole thing pops up overnight, and then is packed away. We were working on EIFF 2021 (ahh!) before we delivered this year's EIFF, so it is a bit of a never-ending task, but it's fair to say that it properly ramps up a few months before it takes place, and completely takes over your life. Despite the stress/lack of weekends/general dehydration, I love festival life. I'm so lucky to have wonderful festival pals, and this year I got to see loads of amazing films, meet really interesting people, attend fascinating events (how Pixar design costumes! So cool), and the very best part of my job - reading the nice comments from our audiences each year (always guaranteed to make me a bit teary). I am quite glad there's a while before the next one though. I'm a total camping convert these days, and for the last few years have ventured up north to the Highlands for a week of wild camping. This year we went the furthest we have ever gone, and drove up to Loch Assynt, a beautiful loch with a ruined castle on its banks and the legend of a mermaid in its waters, about 5-6 hours drive from Edinburgh. There's a wee road that goes around the loch, but we squirrelled ourselves out of sight by its banks, and it was the most perfect week. 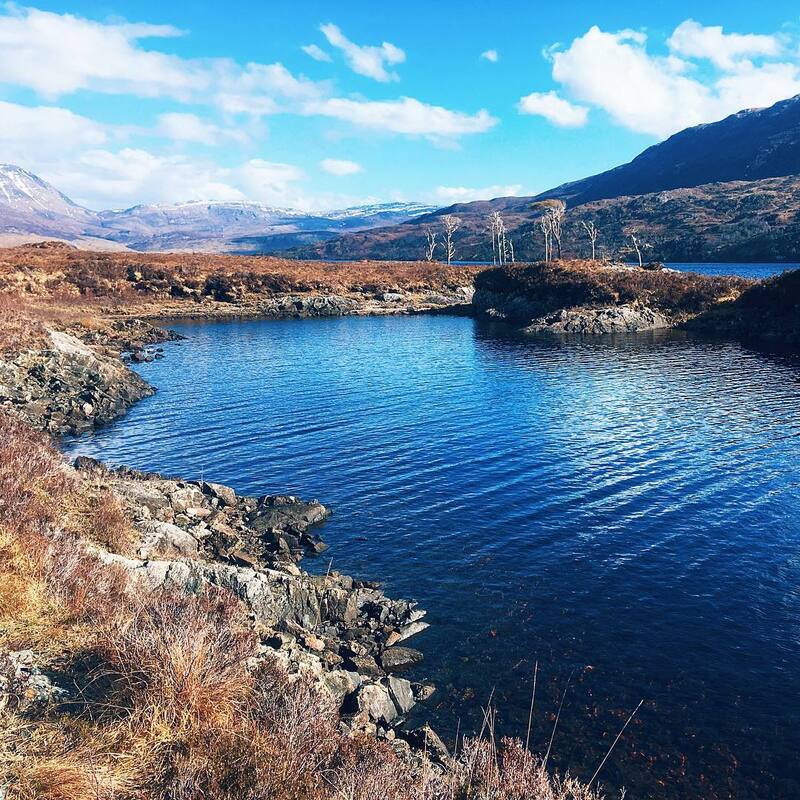 I read loads of books (including the perfect book to read while camping), we ate amazing campfire food and drank wine out of boxes, we paddled to the loch's tiny islands in seek of firewood, and spent days just soaking in the quiet air and beautiful views. It's trips like this that make me want to up sticks and move somewhere very quiet and a bit tucked away from the world, I didn't want it to end. It was the Edinburgh Festivals! A bit of a change of pace, but as always, August in Edinburgh means Festival time! I think this was possibly my least enthusiastic year - I was still feeling a bit zoned out after film fest when tickets went on sale, which meant I missed out on a few things, and I didn't quite have the energy to try and navigate the 1000s of events that were on (although I was happy to sample the 1000s of festival bars that popped up). 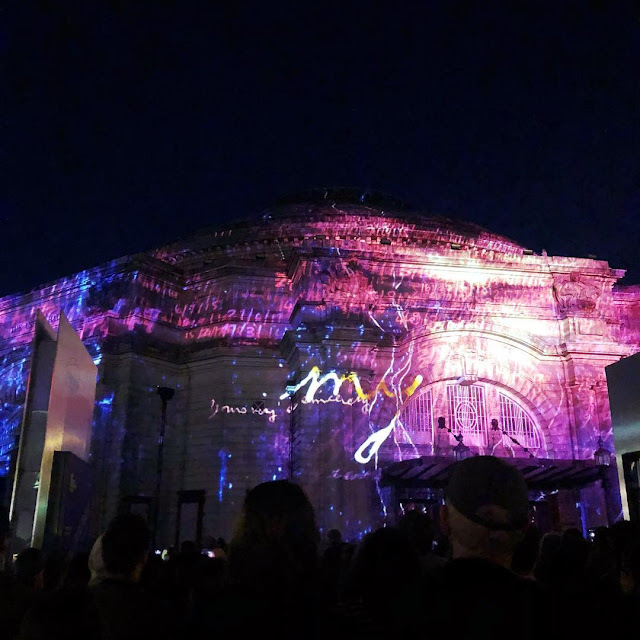 Edinburgh International Festival stole the show with their opening event, Five Telegrams - a super cool and very beautiful event inspired by telegrams sent during the first world war - with digital artwork projected onto Edinburgh's Usher Hall, live choirs, and a moving orchestral score. They keep setting the bar higher for their opening events each year - I can't wait to see what they do next. And finally, I'm just back from a trip to Croatia... which will be the third time I've gone on holiday to a Croatian island, as I just love it there so much! 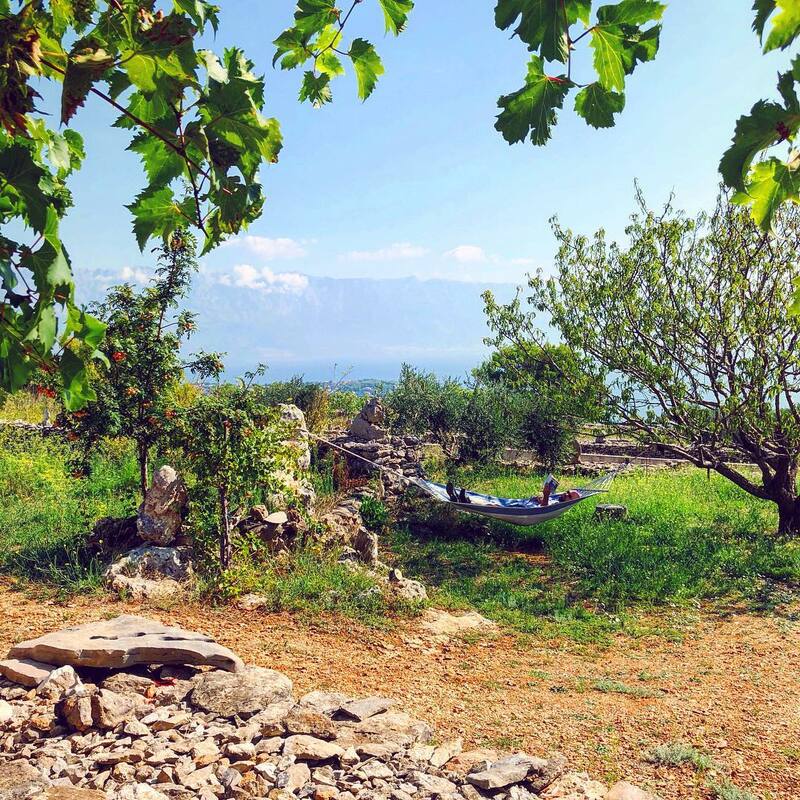 This time we went to Brač and stayed in this amazing, quirky cottage which was also a total bargain (thanks Airbnb!). The weather was beautiful, even hotter than I had expected for this time of year, so we spent a week exploring the island, reading books (in that hammock! ), eating seafood, and just switching off from the nonsense of the everyday world. Can I go back?